A top reviewer in US FDA's in vitro diagnostics office offers tips to next-generation sequencing test sponsors to avoid common submission shortcomings in this interview with Medtech Insight. According to FDA's Hisani Madison, sponsors frequently fall short in providing a refined intended-use statement. Next-generation sequencing, or NGS, has been touted as a potential game-changer in health care, but it is still in early stages and not many NGS products have passed through FDA yet. But, even with its limited experience, the agency has noticed some repeat issues in NGS submissions that it hopes future sponsors can learn from. "The FDA’s top tip to sponsors is to provide a refined intended use that succinctly describes how the device will be used, the markers detected and the intended population/indication," FDA's Hisani Madison says. In November 2013, FDA cleared the first NGS in-vitro diagnostic, Illumina Inc.'s MiSeqDx Cystic Fibrosis test ( (Also see "FDA Approves First Next-Generation DNA Sequencing Platforms" - Medtech Insight, 20 Nov, 2013.)) and late last year the agency approved Foundation Medicine Inc.'s FoundationFocusCDxBRCA NGS test. ( (Also see "Clovis Transitions To Commercial Stage On Rubraca Approval" - Medtech Insight, 19 Dec, 2016.)) Based on their discussions with industry at conferences and vendor shows, the agency says they expect to see an increase in NGS products coming up for review. 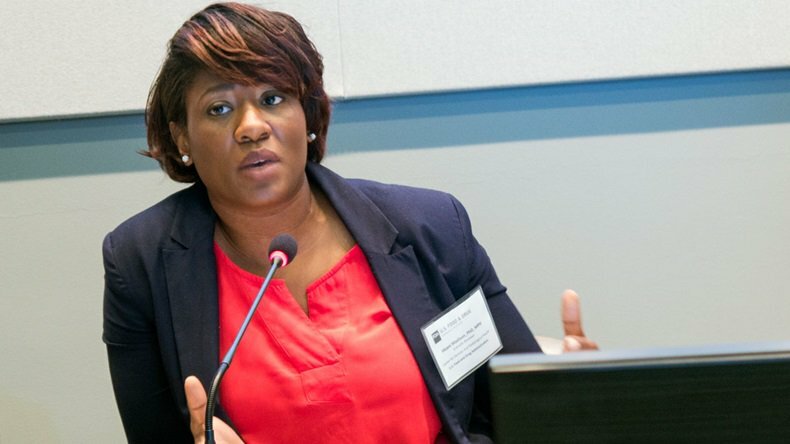 Hisani Madison, a scientific reviewer in FDA's Office of In Vitro Diagnostics and Radiological Health, says the most common error sponsors make in NGS submissions is they don't provide an appropriately refined intended use, which, she says, is critical to how FDA reviews the products. Madison submitted responses to an interview with Medtech Insight over email, in which she explains some NGS submission shortcomings that she has observed and provides tips on how to avoid them. Medtech Insight: What are the most common errors NGS sponsors make and how they can avoid making them, so that the application process goes smoother? Hisani Madison: With regard to the application process, the FDA’s top tip to sponsors is to provide a refined intended use that succinctly describes how the device will be used, the markers detected and the intended population/indication. A well-developed intended use is an important aspect of the application, since the FDA uses the proposed intended use statement to guide the device review process. "Given that NGS is a complex technology with multiple potential sources of error, the agency advises sponsors to consider the entire assay process when planning their validation strategy." What advice would you give sponsors to avoid such errors when submitting an application, whether in combination with a drug or a stand-alone NGS test? Madison: When sponsors are submitting applications for complementary or companion diagnostic devices, the FDA recommends that sponsors plan ahead to ensure that the timing for the device submission is in line with the therapeutic submission. We recommend that sponsors take the time to think critically through the entire analytical and clinical validation process prior to submitting their applications to the FDA. Given that NGS is a complex technology with multiple potential sources of error, the agency advises sponsors to consider the entire assay process when planning their validation strategy. For example, if the assay is intended to be used on samples that require unique pre-processing steps (i.e., bone metastases), it would be helpful for the sponsor’s application to give consideration to the pre-analytical steps. The FDA considers the test system from sample collection all the way through to variant reporting (i.e., results); it would be in the sponsor’s interest to appropriately validate this entire process. Communication between the FDA and sponsors, as well as between device and drug sponsors, is critical to ensure that timelines for approval are aligned and that all of the pertinent information is relayed to the necessary parties. For those seeking contemporaneous approval of a device and therapeutic, one tip to help facilitate communication would be to invite the drug or device sponsors to their meetings with the FDA in the respective Centers (i.e., CDER or CDRH). Sponsors would also benefit from reviewing the previously published summary of safety and effectiveness data (SSED) to get an expectation of what the FDA may require for device validation in a marketing application. Reviewing this data can be useful tool for the sponsor when beginning their device development plans. You say “NGS is a complex technology with multiple potential sources of error.” Could you give me a list of the most common sources of error that sponsors should look out for? Madison: At the FDA we have a great team of scientists that spend a lot of time thinking critically about our review of NGS devices and how to tackle this complex and emerging technology. One colleague in particular, Dr. You Li, has been an invaluable resource in helping to chart the various sources of error that may be of particular interest when understanding the performance characteristics of an NGS device. Different components of the NGS workflow will have unique error profiles. For example, sample preparation steps like DNA/RNA extraction may have different sources of error (i.e., DNA quality/quantity) than the library construction step (i.e., appropriate target enrichment). The FDA recommends that error models for each component of the NGS workflow, including sample preparation, library construction, sequencing and data analysis, are characterized separately. "For class III devices ... the FDA advises sponsors to consider submitting the application as a modular PMA. This submission type can provide a more efficient review process." Are there any other tips you can think of that could help sponsors better prepare their submissions? Madison: When submitting an application, the FDA recommends planning ahead and beginning discussions with the agency early through the pre-submission process. When planning a device validation strategy, consider how validation data will support the intended use of the device and how the sample set you choose to include in your validation strategy are reflective of the intended use population. Use the output from your NGS quality metrics (i.e., sequencing metrics, mapping metrics and variant calling metrics) as a guide to assist with refining the validation strategy. Since different variant types detected using NGS may have different error profiles, for example, the assay sensitivity and specificity for detecting SNVs (single nucleotide variations) will be different from the detection of gene fusions, the sponsor should consider developing a validation plan that is tailored to the range of variant types, sizes and genomic contexts the device is intended to detect. For class III devices, when submitting a premarket application (PMA), the FDA advises sponsors to consider submitting the application as a modular PMA. The modular PMA allows sponsors to submit preclinical and manufacturing information while still collecting and analyzing the clinical data. This submission type can provide a more efficient review process and give sponsors an opportunity to respond to any issues that may be noted by the FDA early in the review timeline.